Figure 7 (a) Sketch of the dominant biological processes in the coral reef ecohydrology model where SSC indicates the suspended sediment concentration that is a measure of turbidity. (b) Underwater photographs of a healthy coral reef (left), a coral reef overgrown by algae - this is a stable ecological state as long as poor water quality prevails (middle), a coral reef smothered and killed by mud from eroded soil from the adjoining river catchment (right). Chícharo L (2004) Estuarine and coastal areas: How to prevent degradation and restore. In: Zalewski M and Wagner Lotkowska I (eds.) Integrated Watershed Management Ecohydrology and Phytotechnology, ch. 13, pp. 202 208. Japan, IHP: UNEP, UNESCO. Chícharo MA and Chícharo L (2004) Estuarine and coastal areas: How and what to measure. In: Zalewski M and Wagner Lotkowska I (eds.) Integrated Watershed Management Ecohydrology and Phytotechnology, ch. 8, pp. 124 131. Japan, IHP: UNEP, UNESCO. Dyer KR (1997) Estuaries. A PhysicalIntroduction. Chichester, UK: Wiley. Erzini K (2005) Trends in NE Atlantic landings (southern Portugal): Identifying the relative importance of fisheries and environmental variables. Fisheries Oceanography 14(3): 195 209. Hutchinson GE (1961) The paradox of the plankton. The American Naturalist 95: 137 147. Kimmerer WJ (2002) Physical, biological and management responses to variable freshwater flow into the San Francisco estuary. Estuaries 25: 1275 1290. Lindeboom H (2002) The coastal zone: An ecosystem under pressure. In: Field JG, Hempel G, and Summerhayes C (eds.) Oceans 2020: Science, Trends, and the Challenge of Sustainability, pp. 49 84. Washington, USA: Island Press. River delta (northwestern Mediterranean). Fisheries Oceanography 13(2): 102 110. 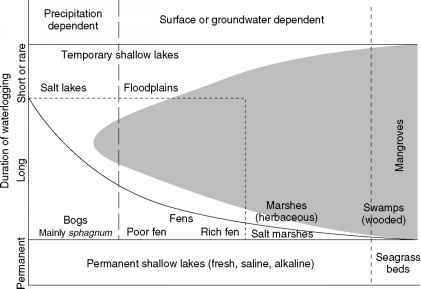 McLusky DS and Elliott M (2004) The Estuarine Ecosystem. Ecology, Threats and Management. Oxford, UK: University Press. Roelke DL (2000) Copepod food quality threshold as a mechanism influencing phytoplankton succession and accumulation of biomass, and secondary productivity: A modelling study with management implications. Ecological Modelling 134: 245 274. Syvitski JPM, Harvey N, Wolanski E, etal. (2005) Dynamics of the coastal zone. In: Crossland CJ, Kremer HH, Lindeboom HJ, etal. (eds.) Coastal Fluxes in the Anthropocene. Berlin: Springer. Wolanski E (2001) Oceanographic Processes of Coral Reefs: Physical and Biological Links in the Great Barrier Reef. Boca Raton, FL: CRC Press. Wolanski E (2006) The Environment in Asia Pacific Harbours. Dordrecht, The Netherlands: Springer. Wolanski E, Boorman LA, Chicharo L, et al. (2004) Ecohydrology as a new tool for sustainable management of estuaries and coastal waters. Wetlands Ecology and Management 12: 235 276. Wolanski E and De'ath G (2005) Predicting the present and future human impact on the Great Barrier Reef. Estuarine, Coastal and Shelf Science 64: 504 508. Wolanski E, Richmond R, McCook L, and Sweatman H (2003) Mud, marine snow and coral reefs. American Scientist 91: 44 51. Wolanski E and Sarsenski J (1997) Larvae dispersion in mangroves and coral reefs. American Scientist 85: 236 243. Zalewski M (2002) Ecohydrology The use of ecological and hydrological processes for sustainable management of water resources. Hydrological Sciences Bulletin 47: 823 832.